monday.com was founded without salespeople, due to the founders’ belief that products with inherent value sold themselves. Their approach worked and led to the company having tens of thousands of customers. 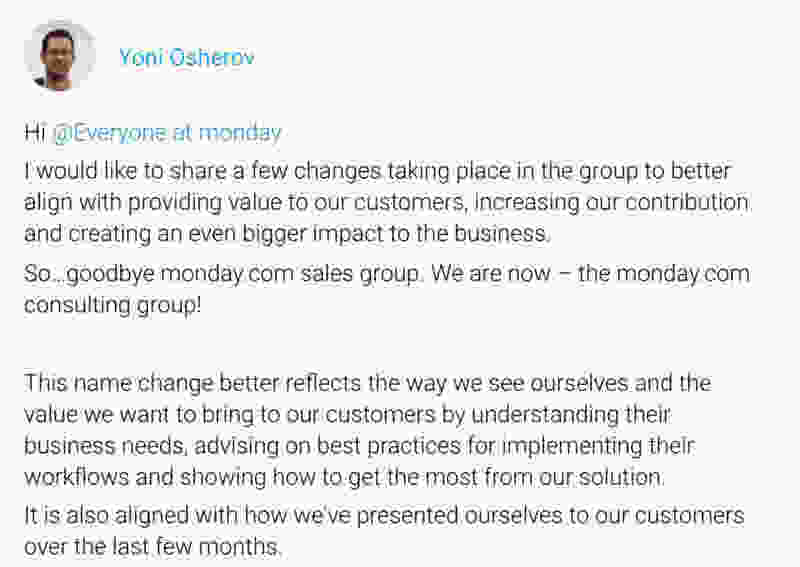 Yet, today’s guest is Yoni Osherov, Head of Sales at monday.com. He joined us to tell why nonetheless, they ended up creating a sales team about a year ago. Years of selling the product through direct online marketing, led to most of the company’s paying accounts belonging to small to medium size businesses, while the corporate world mainly remained untapped. Only small teams within international corporations used the product, while generally speaking, those who controlled bigger budgets did not. Aron Vuijsje, now the company’s Sales Team Lead in the New York office, recognized that they weren’t dedicating enough resources to “land and expand” the product’s use within enterprise accounts. There was room for growth, and like any growing company, they pounced on it. High Touch = High Risk? Creating a new sales team, while scaling, comes with the challenge of not hurting the company’s overall momentum. How does a company that built itself around a “no-touch sales funnel” then develop a “touch sales funnel?” More importantly, how do you do it without clashing with your “no-touch sales funnel” or with the accounts signing-in through direct marketing? 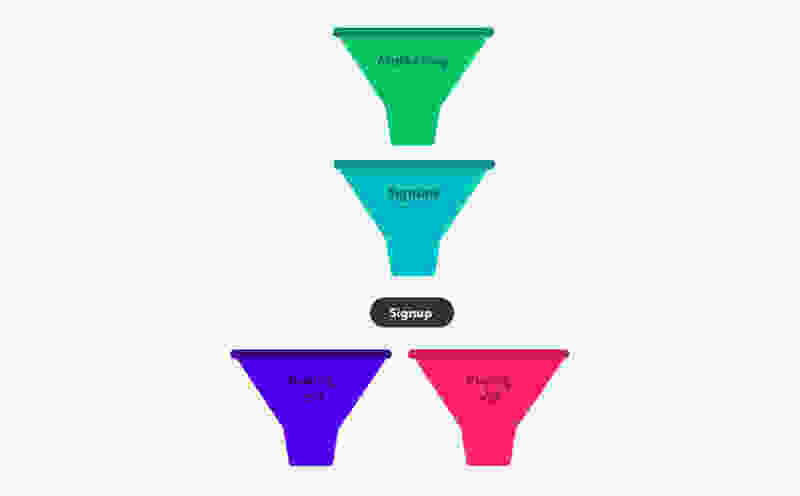 monday.com decided to stick to the “if it ain’t broke don’t fix it method.” Instead of replacing the no-touch funnel, they added the touch funnel – a sales team – to work side by side with the marketing team. They do this by having the no-touch model generate inbound leads for the sales team, eliminating the need for cold calls. This creates a new challenge. If a customer signs up through an ad and then becomes a paying user, who do you attribute the sale to? Is it the marketing team that led to the sign up or the sales team that led to the final sale? This is also slightly misleading because over the years, the marketing team created sales before they founded a sales team. Maybe there would have been a sale without the sales team’s intervention. Did they contribute to the sale? If so, what percentage of the sale did the sales team contribute to? How can you determine each team’s contribution? Customers see an ad and sign up for the service, but they’re just one employee. How can these individuals share the product’s value, so it’s used by the masses throughout the company? Part of that challenge is making sure you’re assisting these product champions. This was not easy considering when Yoni started to develop the sales team he faced a blank page as there was no touch sales funnel to rely on within the company. On the one hand, a brand new sales team was his to mold. On the other hand, when he spoke in basic sales jargon, the looks he received were also blank. How do you make an intentionally “noncorporate” company speak corporate and understand enterprise accounts’ needs? Those needs included compliance, audit laws, security and a million other requests. Here is how Yoni filled each blank page, one challenge at a time. 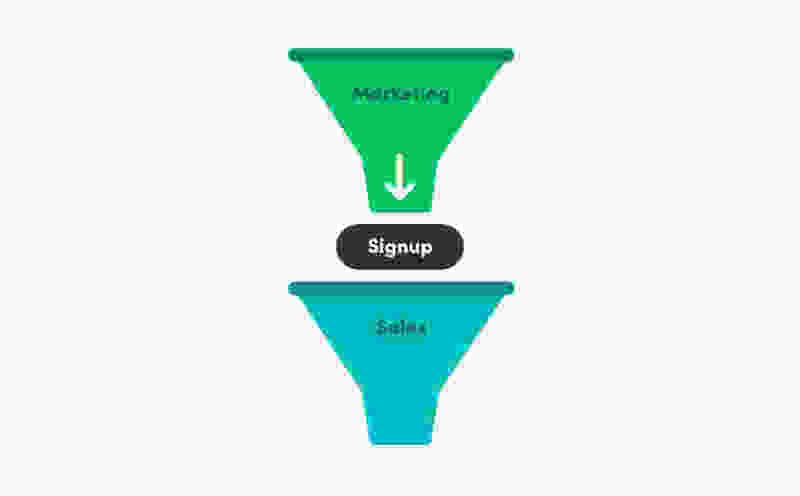 With the no-touch funnel and touch funnel working side by side, the company faced the challenge of sale attribution between the marketing and sales team. They first tried to resolve this issue with two bots called “Mushon and Mushit.” BigBrain assigned the bots signups like any member of the sales team, but the bots did nothing with the signups. By comparing the sales representatives contribution to the bots, the company was able to measure the new sales team’s impact. This solution was far from perfect, partially because the bots’ “accounts” wanted to speak to humans. Once contact was made it was no longer a “no touch sales model.” While Mushon and Mushit did not produce clean trackable data, they helped monday.com reach a clear verdict that they could attribute some sales to the sales team that otherwise would not have been made. The sales team’s contribution model, metrics, and KPIs are constantly evolving. In the beginning, the sales team jumped on every lead without considering company size. Today, BigBrain only distributes them signups from companies with over fifty employees. Smaller accounts all remain in the no-touch sales funnel. This separation helps attribute each sale. The company keeps track of every team member’s individual impact with BigBrain. This way the “big picture” directs their effort. 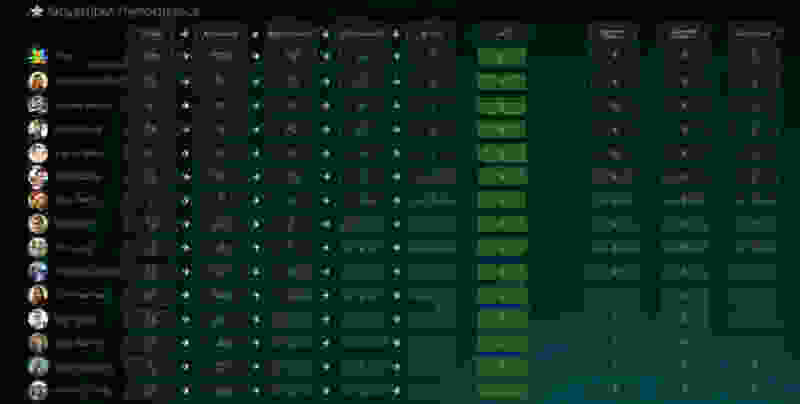 It monitors each team members contribution to the company’s ARR. Initially, like most sales teams, monday.com‘s team focused on each month’s collection. Wanting to bolster the current month’s numbers led to customers being offered discounts even if they might have paid more in the future. Today, the focus is on their contribution to the ARR. ARR redirects the team’s focus from what day the deal was made on to its size. In addition, it aligns them with the company’s overall goals. monday.com believes that there is a lot more freedom now for individuals to make changes in their workplace; if not the world. This goes hand in hand with their “land and expand challenge” of converting one signup into one company using their product. 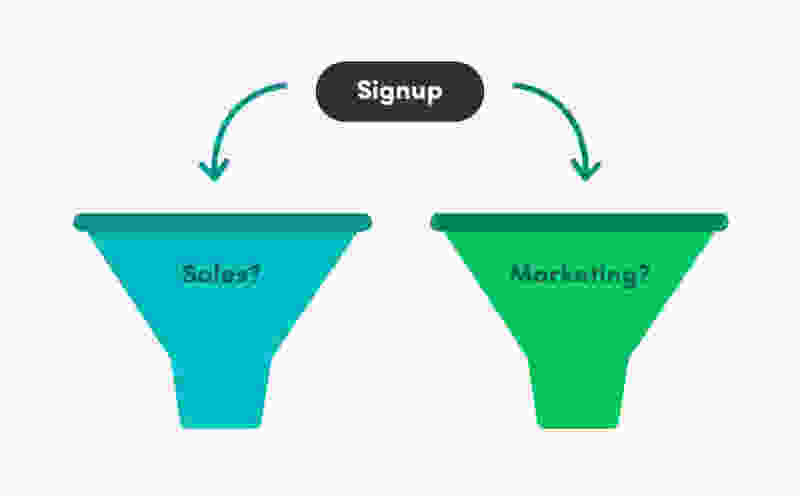 Often these signups come from the no-touch funnel and it is the sales team’s job to prioritize them. That is why each sales representative is only given 10 signups a day from BigBrain. This allows them to support the product champions fully and expand the product’s use in the company. The team researches each signup and prioritize their work based on signups with the greatest purchase abilities. The company is tweaking their sign-up process to help them determine signups purchase ability while being cautious not to hurt their no-touch funnel. monday.com’s unique perspective on sales is reflected by the sales team’s official name, the ‘Consulting Group’. The team’s focus had always been on creating value for customers, not forcing their product on them. If the product won’t provide a potential user value, the consulting group does not encourage them to purchase the product. Another way the Consulting Group works differently is they don’t give team members commissions but a salary that reflects the industry’s standard base salary plus commissions. This encourages the sales team to work as a team. It turns the competition between team members to friendly and replaces vicious competition with collaboration. This model also allows team members to prioritize their workflow based on what impacts the company the most without worrying about their income. This leads to new team members being offered help, new ideas being followed through, and the ability to focus on targets without worry about their monthly income during slow months like December. monday.com is continuously looking for ways to improve their touch funnel without harming their no-touch funnel. They are also working on clarifying the sales team’s contribution to each sale along with the sales team. In addition, up until now, all product changes were made to impact all accounts without distinction and therefore the general WAPP. Now some changes are being made that will only impact some enterprise accounts but not the majority of accounts who are still small to medium businesses. These requests affect the prioritization of feature development. When a corporate account asks for an SSO for example, the sales team often finds that other accounts make the same request. They are now looking for a way to predict how widespread the future demand is for these changes to help prioritize their development. Big deals can take time, so Eran recommends giving your sales team a salary, not commissions. Don’t blindly track the numbers on a dashboard but how every team member is impacting the company. Measure everything in as small intervals as possible. Don’t wait for a signed contract to analyze your process. There are ways to improve every step of the way to a sale. Create a blueprint for success whether it is the right type of salesperson, when to call people, etc. Take any tip with a grain of salt and figure out what works for you.